Stardew Valley developer Eric Barone, who makes up the one-man studio ConcernedApe, has announced that he has ended his publishing agreement with publisher Chucklefish for most versions of Stardew Valley. Chucklefish will remain the publisher for the Nintendo Switch and mobile versions of the game, but all other rights are reverting back to Barone. 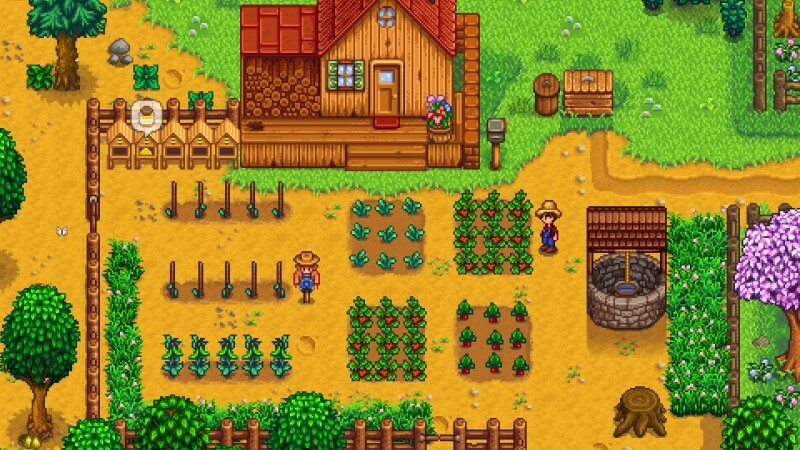 "When I first released Stardew Valley, I was a complete novice to the video game industry," Barone wrote in a blog post today. "Chucklefish, as my publisher, oversaw the distribution, console ports and translations of the game. They set up the official wiki and helped me redesign the website, to great effect. And of course, Tom Coxon did amazing work adding network code to the game, making multiplayer a reality. But I’m at a point now where I’m ready to move forward on my own. I think self-publishing is the end-goal of most indie developers, and I’m happy to be in a place where that’s possible!" What this means is a practical sense is still to be determined. Barone likely ends up taking a much bigger cut of the game rather than sharing the revenue with Chucklefish. It will be interesting to see if the other versions of Stardew Valley end up differing in the future or if the publisher difference doesn't matter for updates. At the end of the post, Chucklefish confirmed that the multiplayer update for the Switch version of the game is in submission, so it should be seeing release fairly soon.